As we hurtle rapidly towards the end of the semester (exams are this upcoming week) we also put to bed another very successful Ohio Turfgrass Conference and Show. This year saw the weather cooperate for the most part with conditions being almost October like and no sign of snow and relatively nice temperatures – it showed – numbers were up! A final tally will be released soon by the Foundation and based on registrations everyone can be happy with an increase. 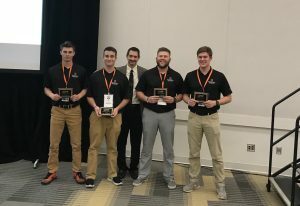 Speakers were delighted with the reception they received from all with plenty of questions, an excellent finish to the convention center upgrade and a downtown area that is rapidly becoming the most diverse and entertaining in the midwest. Many people took in the NHL game on the Tuesday night while a massive range of accommodations and restaurants now awaits attendees – it really has been an eye opening change. 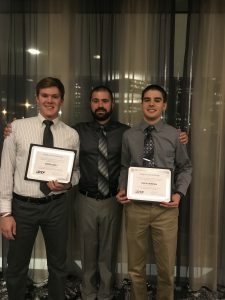 ATI Students also stood out with scholarship awards for Devin Herman ( R.D. Baker Memorial Scholarship) and Aron Early (Don Sweda Memorial Scholarship and OTF Scholarship) as well as yet again another success for the ATI turf students in the annual turf bowl with a 1-2 result. The OTF Turfbowl Champions for 2017 were some of our second year students Brett Jones Gregg Briggs, Kyle Gray and Aron Early. Congrats to them and we look forward to defending the trophy next year. 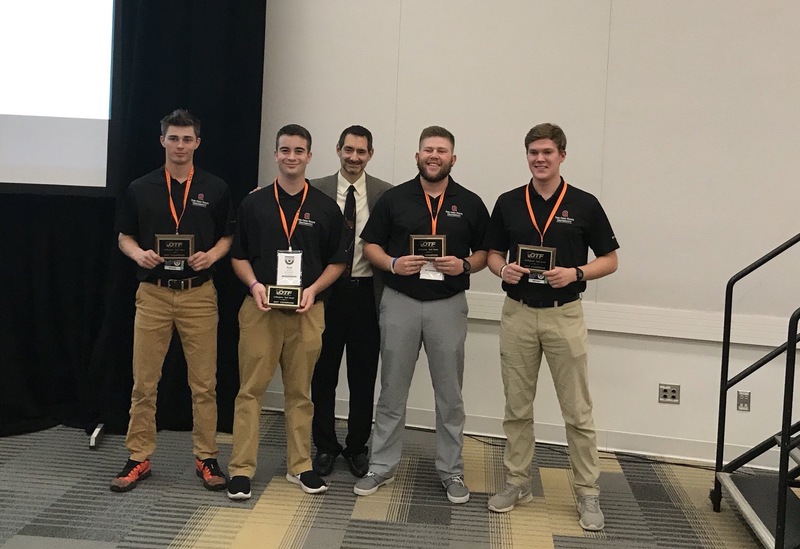 Further to that the vocational education centers were competing and once again the team from Knox County pushed through to get the win – congrats to those potential turf managers! As we head toward the holiday season Dr’s Nangle, Raudenbush and Voltz would like to extend their best wishes and hope that everyone has a safe and happy holiday period. Looking forward to catching up next year.